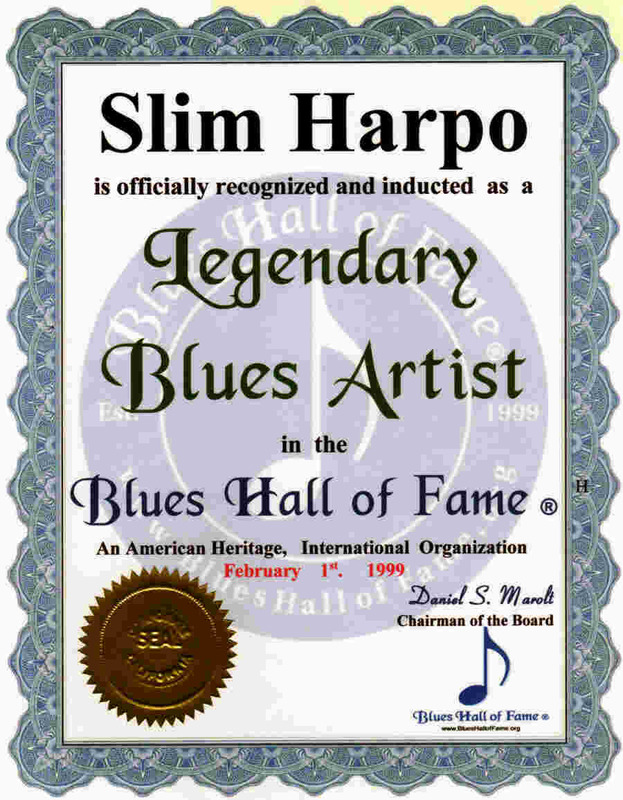 Hit Songs: "I'm a King Bee" "Ti ni nee ni nu"
The Blues Hall of Fame ® Interviewer: Could someone who knew Slim Harpo, or someone who really knows his music, please share something special about this Great Man and his music. He left us his music for us to enjoy forever. To view what others have submitted click: Slim Harpo's B.H.F. Email Page.